Houses & Homes VA: GOD, Family, Country, Virtual Assistant – in that Order! GOD, Family, Country, Virtual Assistant – in that Order! How do you know when it’s time to hire a virtual assistant? The signs are pretty obvious if you are paying attention. If you once had a desk but now have only various (but well sorted) piles of paper, it’s time. If you missed an important meeting with a client because your desk calendar is AWOL, it’s time. If you’re responding to emails late into the night, it’s time! If this sounds like a typical day for you it just might be time to consider hiring a VA (Virtual Assistant). 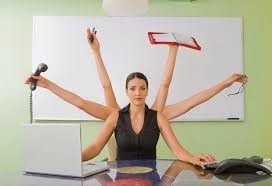 Perhaps you are wondering what a “Virtual” Assistant is or what they can actually do for you. A VA is a personal assistant that doesn’t even need to be in your office to get the job done. In today’s modern world a VA can do all of those tasks that you need to get done but never seem to have the time to actually do. A VA is a “stress reliever” and can take a lot of your administrative work off your shoulders and free up your time. Let’s face it, you need to be with clients not with your computer and the more time you have to do this the more successful you will be. A VA can do your marketing, write and post your blog(s), answer your emails (if well trained), schedule meetings with clients, make phone calls on your behalf, keep you organized, whatever! Remember, most people will stop doing business with a company (or person) if they feel that they are being ignored or are kept waiting too long to resolve any issues that may arise. Dealing effectively with clients is difficult at best and if administrative tasks are taking too much of your time how can you respond to their needs when they need you the most? A VA can do all of those mundane tasks that are necessary while you can do what is most important; dealing with your clients and finding new ones. The same as any other employee, a VA is paid according to their abilities and experience and it’s for sure that you can find the “perfect person” to do all of those “pesky” tasks that eat way at your time and take you away from more important duties. If you are working too hard and need a helping hand than the time has come to hire someone to assist you; the time has come to hire a VA!